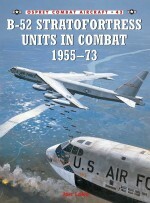 The Skyhawk was involved in Vietnam from the very beginning, including the first offensive operations in 1963 into Laos, and the Pierce Arrow operations immediately following the Tonkin Gulf Incident of August 1964. Navy and Marine Corps A-4s quickly established a presence in south-east Asia participating in thousands of sorties against the entrenched communist forces in the South and the heavily defended targets in North Vietnam. A-4 pilots also struck targets along the infamous Ho Chi Minh Trail, working with ground-based and airborne forward air controllers to interdict the flood of supplies to communist forces in the south. 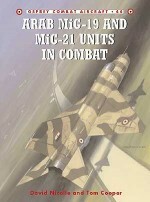 This book will include many first-hand accounts from the pilots who flew one of the greatest attack aircraft ever built and will provide an insightful account of some of the most thrilling aerial combats that took place during Vietnam. 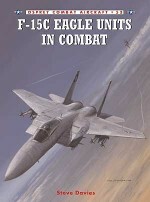 Peter Mersky has written a dozen books and 100 magazine articles on U.S. Navy and Marine Corps aviation. 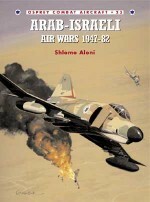 He also wrote the ground-breaking Israeli Fighter Aces (Phalanx/Specialty Press, 1997). His articles have appeared in Wings of Fame, International Airpower Review, and Air Enthusiast as well as U.S. magazines. He served for 16 years as assistant editor and then editor of Approach, the aviation safety magazine for the U.S. Navy and Marine Corps. This book would be his fourth title for Osprey.Jim Laurier is a native of New England and lives in New Hampshire. He attended Paier School of Art in Hamden, Connecticut, from 1974-78, and since he graduated with honours, he has been working professionally in the field of Fine Art and Illustration. He has been commissioned to paint for the US Air Force and has aviation paintings on permanent display at the Pentagon.